I hope everyone had a nice relaxing weekend. 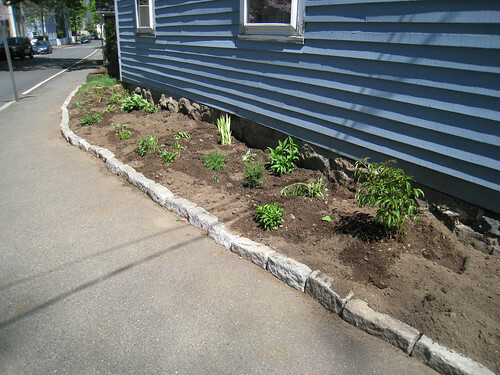 We worked on our gardens a bit. 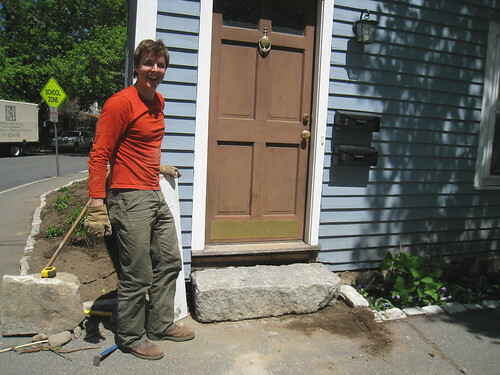 Greg finally got the granite step in. This time it’s not photoshopped. The step fits perfectly. I can’t believe we actually did it. The rock was a monster. In the second image our hydrangeas starting to sprout. 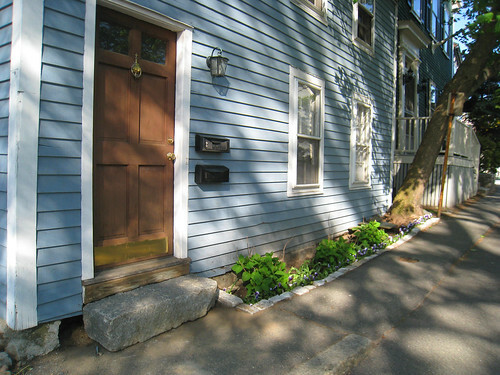 We planted the hydrangeas and put in the granite pavers last fall. My mom came down over the weekend and brought a few plants from her garden. I need a few more but we are off to a good start. I kinda wish I could snap my fingers and everything would be in bloom. Patience, katy. I need a flowering bush for the end of the garden. I’ve thought about lilacs, butterfly bushes, and lace cap hydrangeas. I have to keep looking around. 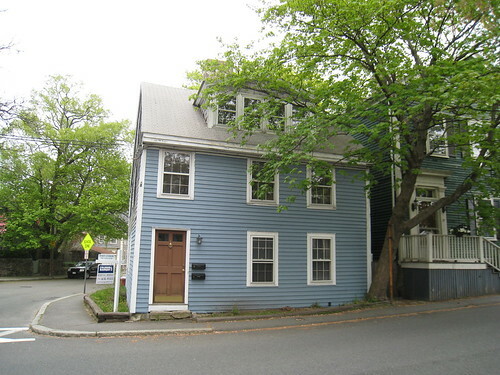 We bought a house in Marblehead, MA! We finally closed on the house this past Thursday. I am honestly still in shock and can’t believe that we own a home. The whole thing just doesn’t feel real. We feel so lucky. Check out the house on flickr here. 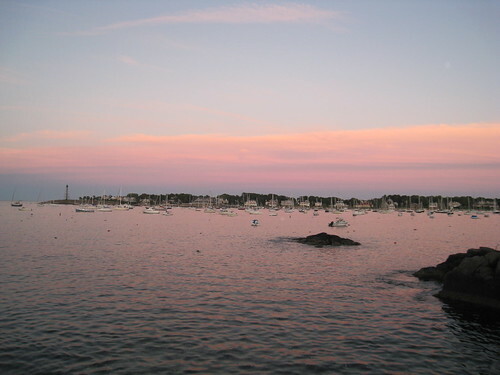 The image below is of Marblehead Harbor on our first night. The harbor is just a few blocks down the street from our house.